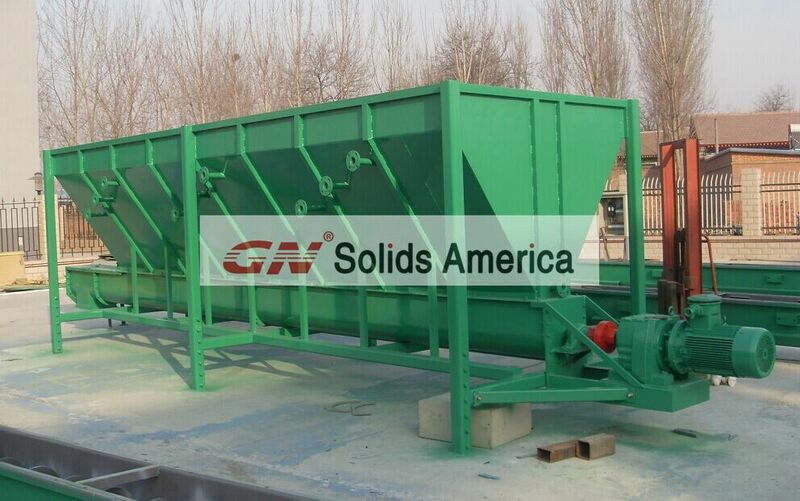 Screw conveyor is also called Auger, which is a very common equipment used in drilling cuttings solids control system and waste management systems, especially in a rig jobsite equipped with both solids control system and waste management system. 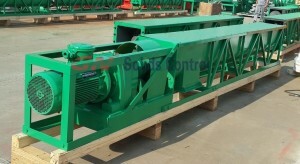 Some screw conveyors are used for collecting the drilling cuttings discharged by shale shakers, desanders, desilters and decanter centrifuge in a solids control system and then transfer such solids cuttings to the next step, waste management system. Other screw conveyors are used in the waste management system, to convey the cuttings to the drying shaker with a high-G force or the vertical cuttings dryer, whatsoever, first treating equipment in a waste management system. 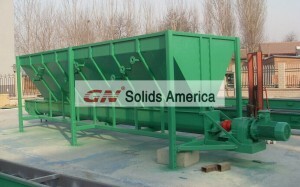 GN has 2 types of screw conveyors available, one of GN screw conveyors has a hopper shaped shell, like a tank, it can receive the material from the truck or something like that. See the picture on right hand. Another type is more common, with shell and cover, the cover helps to prevent the operators from being hurt by the machine. 1, standard design for each section, each section is 12 ft long, easy for the end user to remove the middle sections to choose the total length per the jobsite condition. 2, more screw dimensions available per conveying capacity, like 12 inch, 14 inch and 16 inch diameter screws. 3, anti-wearing material screw material and shell material. 4, stable and long life time motors. 5, hang bearings before laying the blades on the screws, for perfect concentricity. May you have interest in such system or equipment, pls contact us at our website or email me directly.